Kilimanjaro Marangu day hike involves going up to the first camp Mandara hut (2720m) and come back via the same route on the same day. There is a drive about 45km from Moshi town which will take 1 hour. At Marangu gate you have to do some registrations and pay the park entrance fee to get a valid permit to start the hike. Marangu gate is 1879m above sea level and the distance to Mandara hut is 8km (16 km round trip), which will take 3 to 4 hours for each direction. 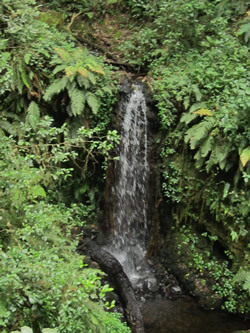 On the way to from the Marangu gate to Mandara hut you will cross the rain forest which is a dense forest, pure green with a lot of species of plants. If you are lucky you can see Blue Monkeys and a black and white Colobus Monkeys. It just takes 15 minutes walk from Mandara to Maundi Crater. 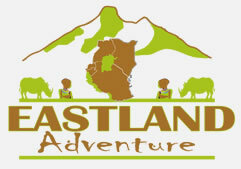 This place offers a good view of Kibo and Mawenzi peaks and also good view of the Kenyan side ad lake Chala and Jipe. During eruption the pressure was not enough to force magma to get out hence instead of rise up it formed a crater. NOTE: Porters are not required for day trips, but guides are. Park regulations mandate that there can be at most two clients for each guide. The company will provide lunch and Water will be provided.